Owning a home can be a sign of independence and success. It allows you to build up equity and the mortgage interest and property taxes are tax-deductible. What can you do to make a home affordable for you? Reputable lenders look at a list of criteria to decide how much they’ll loan you. If you’d like to get an idea of what you can afford before talking to a lender, here are a few tools you can use to decide whether a home is within your budget. 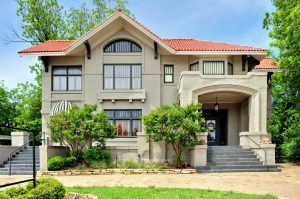 As a rule of thumb, your house hunting budget shouldn’t be more than 2.5 times your pre-tax annual income. If you earn $50,000 a year, your budget for house hunting should be around $125,000. Your Housing Expense Ratio, which is principal, interest, taxes and insurance shouldn’t be more than 25% to 28% of your pre-tax monthly income. Your Debt-to-Income Ratio should be no more than 36% of your pre-tax monthly income. This is the ratio between how much you owe and how much you earn. Use an online calculator to figure how much home you can afford. “Qualifying for” and “can afford” are two different things. Shopping for a home within your budget will save you a lot of heartache now and in the future. If you’d like help determining how much mortgage you can really afford, call your trusted mortgage professional today. 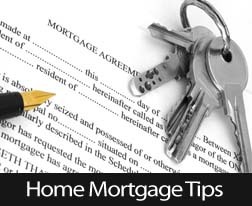 This entry was posted in Mortgage Tips and tagged Mortgage Tips,Homebuyer Tips,Personal Finance by BJ Kirkpatrick. Bookmark the permalink.